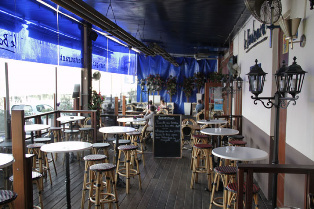 The Boulevard is one of the most famous restaurants and bars most popular with Sarregueminois. It has a Bar / Pub space, and a restaurant space separated by a large covered terrace which has stunning views of the Saar and the Casino of faïenceries. The exhibition made ​​its terrace where you have to be in some particular holidays during July 14 where you can , from the terrace , a drink or a bite to eat while watching the fireworks. 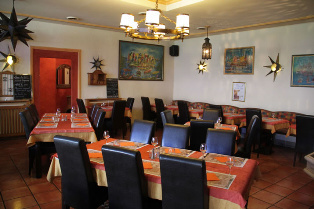 The restaurant at the edge of Saarland offers traditional and regional cuisine and Mexican specialties in the evening. 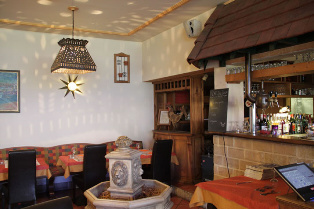 The restaurant offers dishes and menus of the day, 9.50 € to 14.50 € , elaborate menus from 25 € to 32 € and à la carte € 12 to € 22.